Bronwyn Mills is a poet, essayist and fiction writer who received her MFA under poet, James Tate. At NYU, where she was an Anais Nin Fellow, she earned her Ph.D. under poet Kamau Brathwaite and novelist Ngugi wa Thiong’o. She left teaching in Istanbul, Turkey, to conduct research on African vodou as Fulbright Fellow to La République du Bénin, West Africa. Widely traveled, Bronwyn has also lived in Paris, France (where she studied mime) and Western Massachusetts. She now lives and writes in a tiny mountain village far, far away. Bronwyn has been a dance and theatre reviewer with a byline for the New England regional arts weekly, The Valley Advocate, as well as The Greenfield Recorder, and is currently a senior prose editor for Tupelo Quarterly. Bronwyn’s books include Night of the Luna Moths (poetry) and Beastly’s Tale (a fabulist novel). Currently working on a new novel, Canary Club, her past work has appeared in IKON, the online literary journal, Frigate, Talisman: a Journal of Contemporary Poetry and Poetics, and others. She recently guest-edited the Turkish issue of Absinthe; New European Writing (#19.) 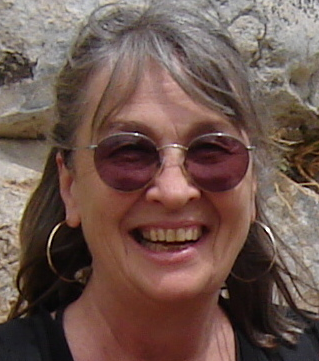 Bronwyn taught writing and literature in New York, Istanbul, and West Africa. From time to time she also contributes articles to scholarly journals on the subject of African vodun. Bronwyn, fiction writer and cultural historian, Eric Darton, and fiction writer and translator, Hardy Griffin, will be transforming a special site for writers, The Wall, into a tri-annual journal with an anticipated early 2017 publication date for its first issue on translation. It will feature work from Turkey, Romania, Italy, Ireland, and more.